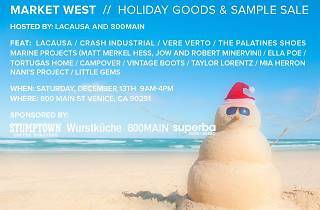 Before anxiety-induced hyperventilation ensues over last-minute holiday shopping, venture to this beach city’s designer-packed sample sale that’s sure to knock names off your gift list. 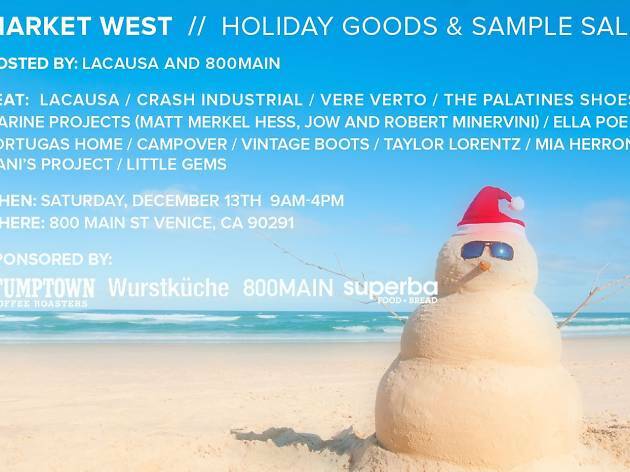 Rummage through handcrafted pottery from Marine Projects, fancy leather goods from Vere Verto, 70% off LA-based garb from LACAUSA, and more at this buzz-worthy sale. When you’re not perusing racks of home goods, luxury bags, shoes, blankets, jewelry and more, take a moment to indulge in the majestic qualities of these tasty sponsors: Stumptown Coffee Roasters, Wurstkuche, and Superba Food + Bread.